This item is available in 4 different types of solid wood. 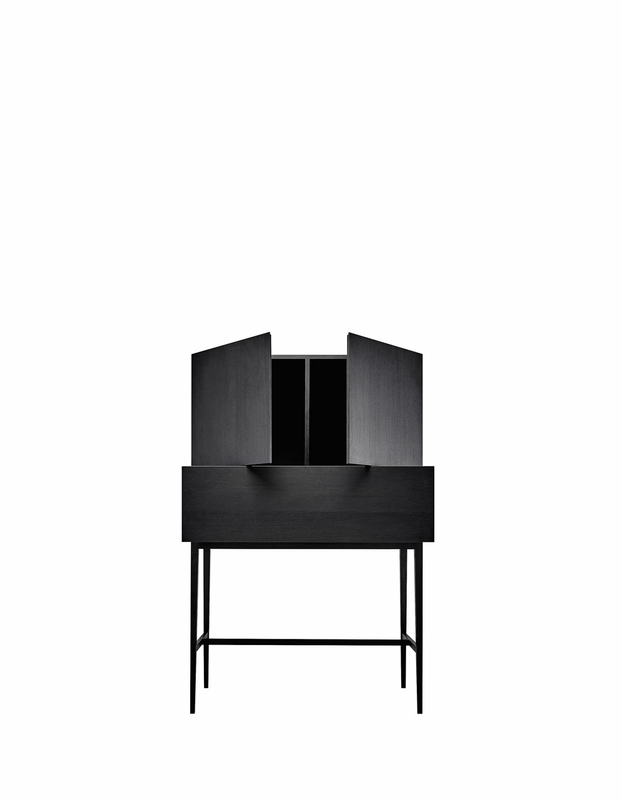 European black stained ash version is only available in one unified look - black coat stand and hooks. Each coat stand has 6 hooks, that can be folded away when not in use. 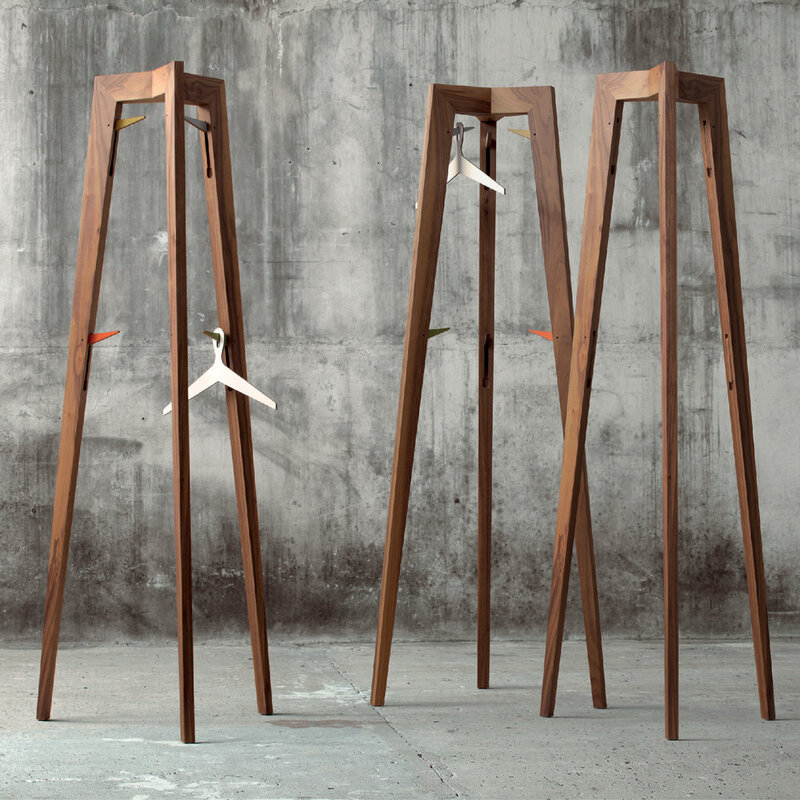 As a standard coat stand is combined with colored hooks, but you can also request fully monochrome item in one timber.